The Silkroad Ensemble has had a long history of radical cultural collaboration. 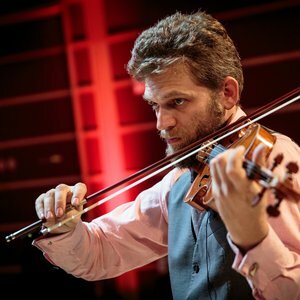 In anticipation of their appearance in Nashville next Monday evening, the Music City Review had a chance to ask member and violinist Johnny Gandelsman a few questions about the project, it’s history and goals. MCR: It has been over 20 years since Yo-Yo Ma conceived of the Silkroad Ensemble as “…a model for productive cultural collaboration, for the exchange of ideas and tradition alongside commerce and innovation.” How have the goals and approaches changed since Ma’s original vision? Having spent almost 2 decades playing and traveling together, learning about one another and visiting each others homes, we are no longer strangers, we are family. We've seen each other grow up, immigrate, start families, have kids. We've seen each other’s hair turn grey. Of course there are still highs and lows, and many more lessons to learn, but we go through them as one. The ensemble has built a shared history, one that every musician in the group has contributed to, and the collective experience and knowledge of the band is our most valuable currency. MCR: How did Nashville come to have a stop on the Silkroad? heading to Nashville. We've played at Schermerhorn Center once before - it's one of the great halls in the country! It's definitely one of the places we are most excited about playing at during this tour. MCR: What is the make up of the ensemble that is visiting Nashville? JG: This is an unusually small group, with only 7 musicians. 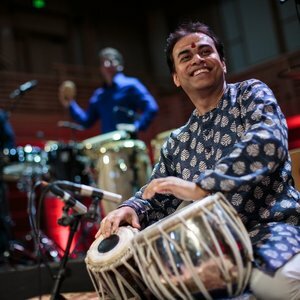 Shawn Conley (bass), Sandeep Das (tabla), Haruka Fujii (percussion), Joe Gramley (percussion), Cristina Pato (gaita, piano) and myself have been playing with the group for a very long time. We are very excited to have Nora Fischer join us on this tour. 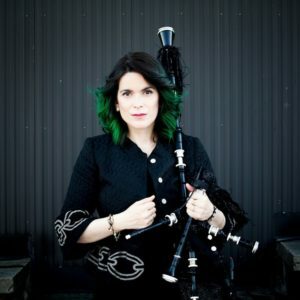 Nora is an incredible singer, who combines deep knowledge of the Western Classical tradition, with a beautiful affinity for folk singing traditions from around the world. She is a perfect fit for Silkroad Ensemble - I can't wait for you to hear her! MCR: What should audiences look for in your concert? Ghana, India, Japan, Lebanon, Moravia, Peru, Spain and Syria. There will also be music by Henry Purcell, Maurice Ravel and John Zorn. It's a fun musical trip around the world, and you don't even need to bro g your passport, just your ears and an open mind! MCR: What impact, ideally, would you have on music city? JG: I think it's more likely that Music City will have an impact on us! So many musical heroes and dear friends of ours live in Nashville! Bela Fleck and Abby Washburn, Connie Heard and Edgar Meyer, Wu Fei, Chris Eldridge and Kristen Andreassen, Brittany Haas, Paul Kowert -p the list goes on. I'm hoping to give a concert worthy of a city so many musical giants call their home. MCR: Do you plan to hear any local music while you are in town? JG: Absolutely! Our first free night on tour is Sunday - I will be at the Local, can't wait to hear Chris Scruggs; on Monday night, my plan after our show is to run to the American Legion Hall to catch Billy Contreras’ set. Maybe catch the Time Jumpers if there is time?